70s English punk is making an attempt for a come back. 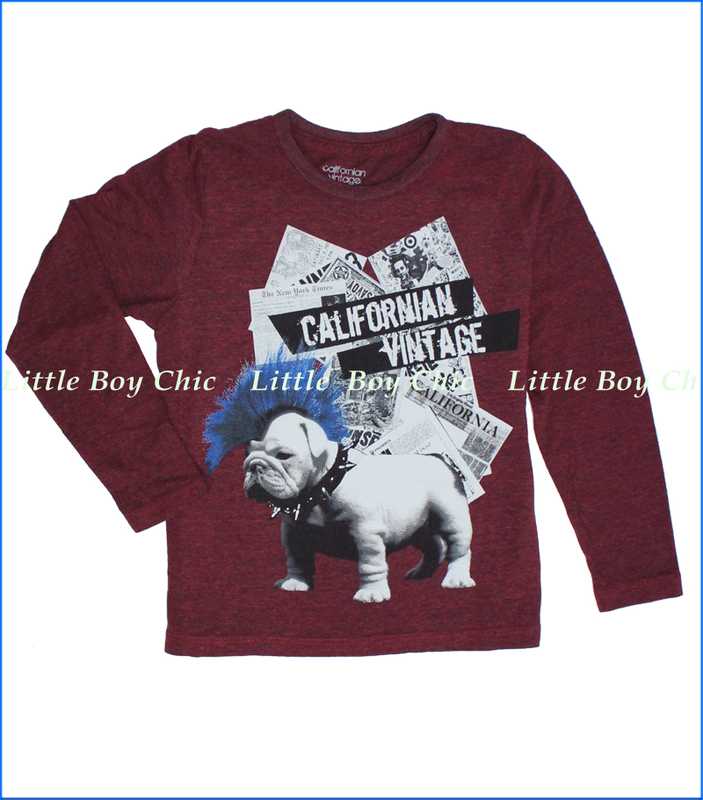 A blue mohawk and studded collared pug on this gorgeously dyed deep red tee is equal part cool and fun. Polyester is added for improved winkle resistance, heathered look and soft hand feel. Interior neck tape helps hold its shape. Printed neck label so there is no tag to irritate. Preshrunk. Made in their cool studio in Los Angeles.